Mexico is known for its Pacific and Gulf of Mexico beaches and its diverse landscape of mountains, deserts and jungles. Ancient ruins such as Teotihuacán and the Mayan city of Chichén Itzá are scattered throughout the country, as are Spanish colonial-era towns. In capital Mexico City, upscale shops, renowned museums and gourmet restaurants cater to modern life. 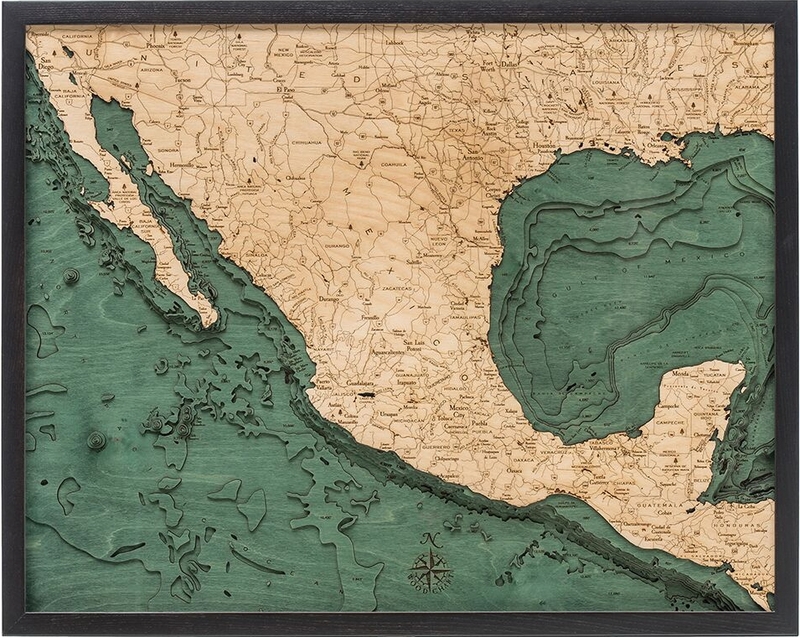 Whether you live in Mexico or you simply enjoy visiting, this Mexico depth map makes great home décor and a perfect gift for boat owners. 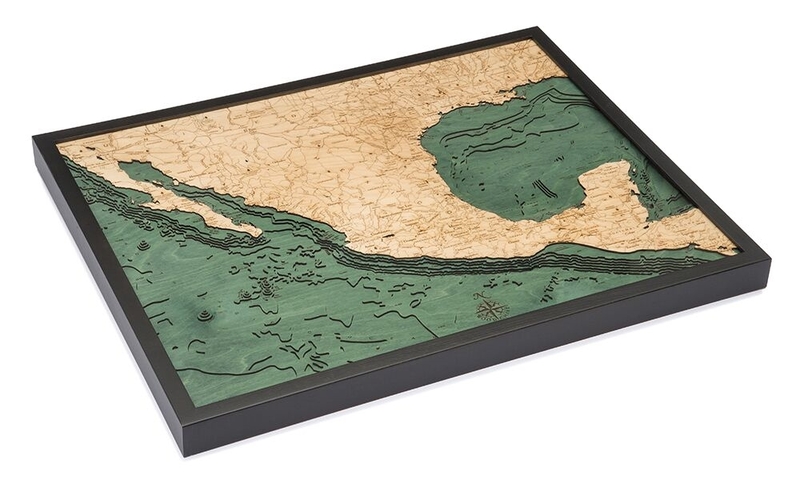 Our Mexico 3D nautical wood map accurately depicts the shoreline and bottom contours of Mexico. They are carved in Baltic Birch wood, framed with solid wood, and are crystal-clear acrylic covered. Intricate detail is both carved and laser etched into the artwork to create realistic and attractive maps that show precise shorelines, depths, landmarks and lettering. Our own finishing techniques bring out the Baltic Birch’s natural grain. Order your Mexico depth map from Carved Lake Art today to get the most detailed chart on the market at the best price! Have a question? Get in touch! Carved Lake Art is here to help.